In response to our clients needs, this extended course is aimed at anyone who is required to plan safe systems of work, using lifting equipment with no or very little experience of planning lifting operations using mobile cranes. This gives additional training as preparation for the Technical test on day five of the course. The aim of this course is to provide candidates with underpinning knowledge in order for them tounderstand the role and responsibility of the Appointed Person. Following successful completion of the course candidates will be able to identify and implement safe systems of work for lifting operations including writing risk assessments and method statements. 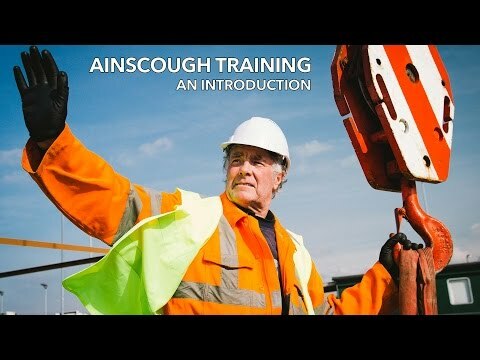 Successful candidates will be awarded an Ainscough certificate of training along with a photo ID card endorsed Appointed Person and will be valid for 5 years. Please note that on major construction sites this may not satisfy the training requirements where a CPCS card is required. If you are unsure please call the number shown below for further advice.